LS Rusty Gold 468, 3-yr old Bull, Est FS "000"
This is our main herd Miniature Hereford bull, LS Rusty Gold 468. He threw very nice, thick, stout and small calves. He is estimated at 3 odds (000). 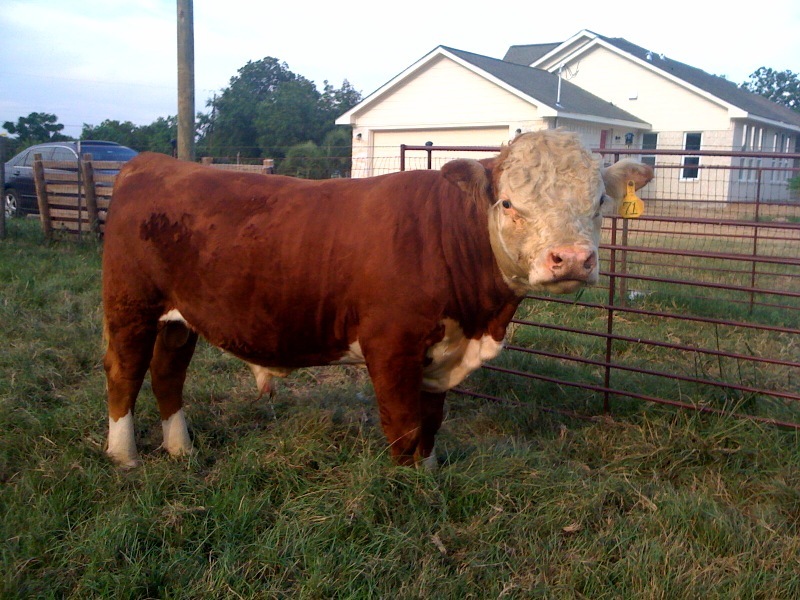 This is our Polled Miniature Hereford bull. He is muscular and gentle. He will be serving all our cows next year. Be sure to check out his calves in the future. This is our full blood miniature Angus (Lowline) bull. Our goal in the next 2-3 years is to produce a nice herd of Miniature Black Hereford where we breed the FB angus (Lowline) bull to our miniature hereford cows to get black body and white face.